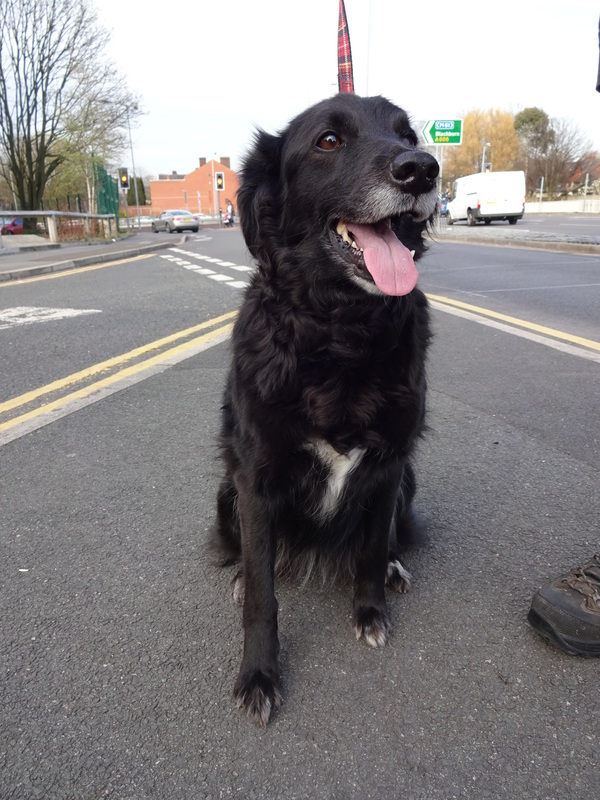 I didn’t get chance to look for a dog in the day so I planned to pop to the park when I got back to Bolton, but it turned out that I bumped into a beautiful dog on the way to my car! 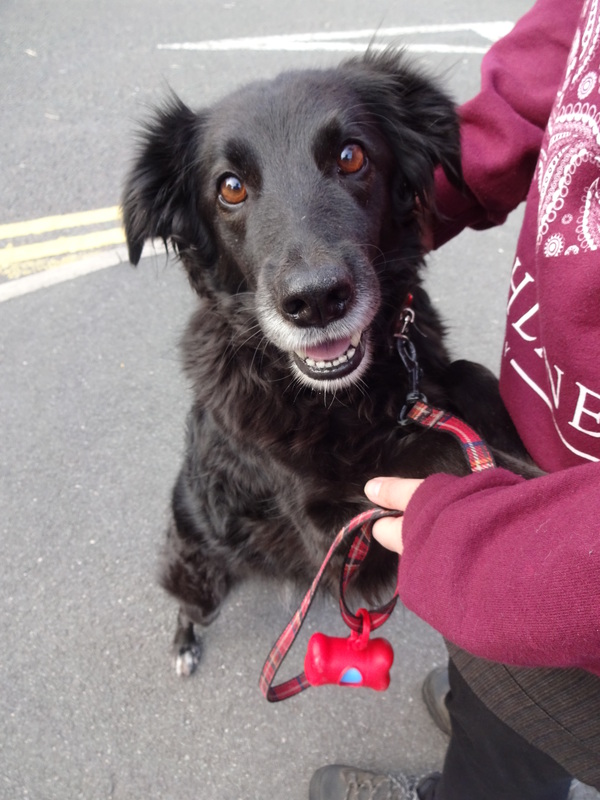 I met really lovely Lassie, what a friendly dog, we got to have a hug! Lassie human mummy really wanted to get a dog but her dad wasn’t so sure so they named her Lassie after his boyhood dog to talk him round; good thinking! Lassie is a rescue dog from the Destitute Animal Shelter in Bolton http://www.animalshelter.org.uk/. She was rescued at 6 mouths old. Lassie lives with another dog called Dylan who’s 14 years old. They get on very well but she’s a bit nervous around other dogs, her human mummy thinks that something possibly happened to her before she was rescued. Favourite food: Sardines, carrots and cheese. Lassie isn’t a massive eater though! Favourite toy: She loves playing with her ball but she also has a soft toy puppy which she carries round by the neck and cuddles! Favourite pastime: Walking. Lassie has walked up Snowden twice in the past year!